The West of England Combined Authority, which will manage new powers for transport, housing, adult education and skills, met for the first time today (March 1) at Watershed in Bristol. It agreed the constitution for the new authority and appointed interim statutory officers. The constitution sets out the governance arrangements and establishes three advisory boards, for skills, infrastructure and business. These will be chaired by the West of England Mayor and attended by the relevant members from the councils and business members of the West of England Local Enterprise Partnership (LEP) board. The constitution also sets out the plans for scrutiny by councillors, to be selected on a politically-proportionate basis, from the constituent members of the Combined Authority. Patricia Greer was appointed as interim Chief Executive/head of paid service; Tim Richens has been appointed as interim Chief Finance Office and John McCormack as interim Monitoring Officer. Cllr Tim Warren, Leader of B&NES Council, Marvin Rees, Mayor of Bristol and Cllr Matthew Riddle, Leader of South Gloucestershire Council, said: “Today is a key milestone in the evolution of the effective joint working across the West of England, and builds on the work we’ve been doing in partnership for many years. The West of England Combined Authority will work closely with North Somerset Council, building on a legacy of successful joint working between the four authorities. This will include the establishment of a Joint Committee between the constituent councils of the Combined Authority and North Somerset Council, and scrutiny arrangements for that Joint Committee by councillors of the four authorities. WECA will be chaired by a new West of England Mayor. Elections will take place on Thursday 4 May 2017, when the electorate of Bath and North East Somerset, Bristol and South Gloucestershire Councils will have their say on the candidates. 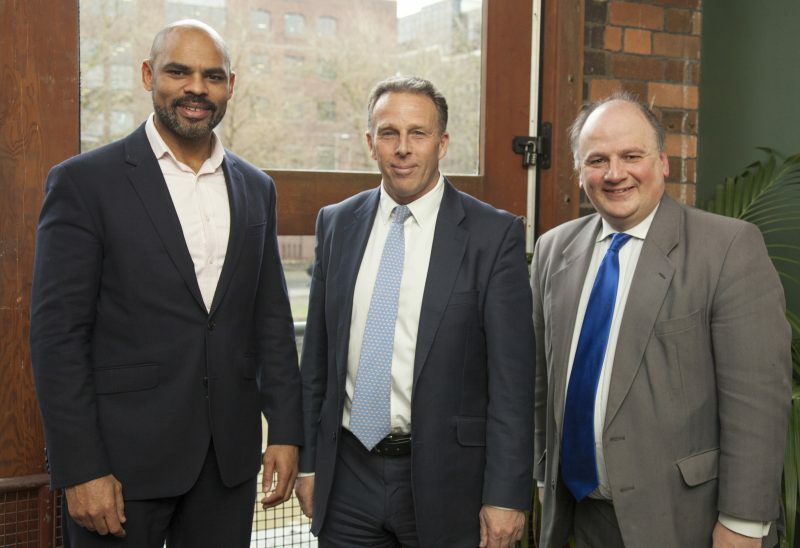 Other members of the Combined Authority are Cllr Tim Warren, Leader of B&NES Council; Marvin Rees, Mayor of Bristol, and Cllr Matthew Riddle, Leader of South Gloucestershire Council. The Chair of the LEP, Stephen Robertson, will also attend the meetings. The West of England Combined Authority will meet hold its second meeting in public on Wednesday March 15 at Armada House, Bristol. Papers for this meeting will be available on the website on March 7.